Ocean Day Spa has a wonderful retail selection offering a wide variety of products and gifts that include jewelry, unique purses, candles, The Republic of Tea, aromatherapy oils, Proper Pillow, inspirational art and much more. We are always adding to our retail with wonderful items that will inspire, heal and/or just bring a smile to your face. The Eminence Skin Care line offers a truly exquisite experience with products that are so natural that you can see the fresh fruit pulps, seeds, and smell the real herbs. The philosophy is simple and natural and it fits with the modern need of finding a natural skin care solution. The active ingredients are organically grown in Hungary, and have been chosen for their beatifying and therapeutic properties. Eminence address a variety of skin concerns such as premature aging and wrinkling, sun damage, acne, loss of tone and radiance. Natural ingredients are potent and they give beautiful lasting results for clear, balanced, revitalized and naturally glowing skin. ​ Beautiful skin starts with healthy skin. To maintain and improve skin health, an effective, professional pharmaceutical skincare regimen is essential. 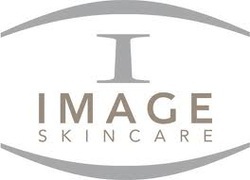 Image professional skin care products work at a cellular level to diminish fine lines, fade sun damage, increase hydration and stimulate cellular turnover for more youthful looking skin. Treat your skin to a new level of health and age later.